Want to see how you’re doing on Instagram? Get free Instagram analytics from Union Metrics! We borrowed a few clever algorithms from our paid Instagram analytics to provide a free Instagram account checkup that will put you on your way to Instagram health. What’s the best time to post to Instagram? What hashtags should you use to get the most engagement? What should you post more (or less) of? Get better with a checkup! 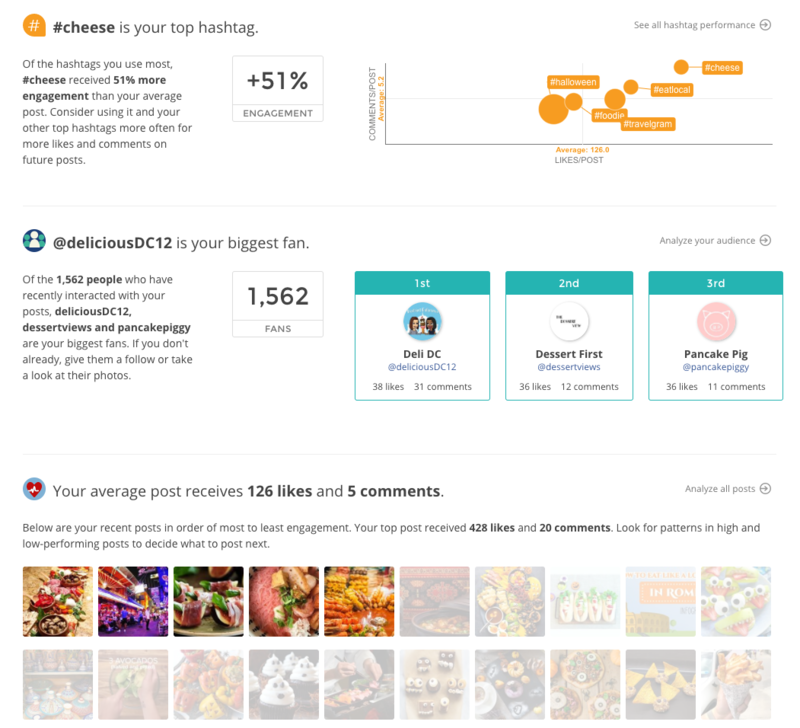 The free Instagram analytics checkup from Union Metrics connects with Instagram to analyze the last 30 days of activity on your account, including your posts and engagement from your fans, to give you key insights into how to improve. Run it any time you need a checkup for updated Instagram analytics. Learn the best times to post new photos and videos to receive the biggest response from your audience. Learn more about the kind of posts you share and what else you can add to your feed for more engagement. Learn which posts resonate with your followers and which posts fall flat so you can do more of what works. Learn what hashtags result in the most engagement for your posts to get in front of new audiences.